The photo at the top would be offensive, to some I suppose, had it not been such a well composed array of profane satire. 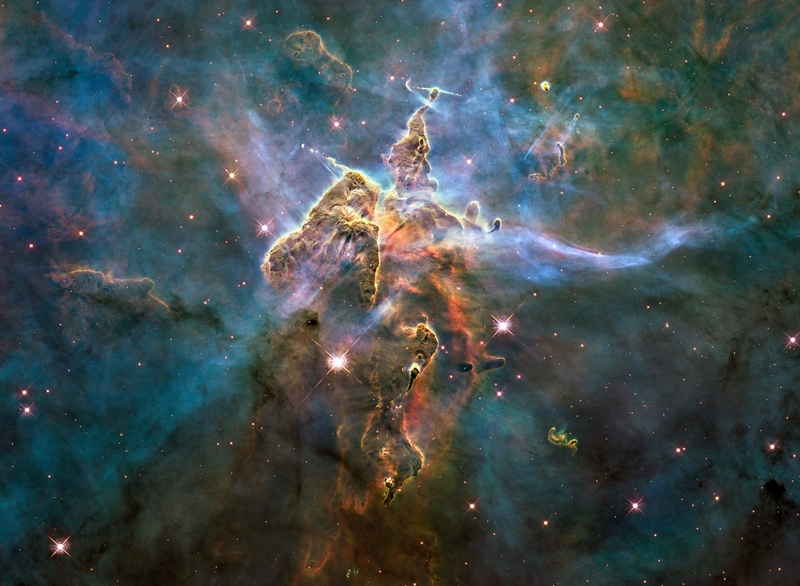 Consider below, the Carina Nebula. I feel that I am here seeing a great king of the cosmos, riding a galloping star-steed through the lit interstellar gasses. This entry was posted in 2014, milky way, Space, Uncategorized and tagged 360 degree panorama of milky way video, Arianespace's successful Flight VS07, carl sagan, cosmos, GLIMPSE360: Spitzer's Infrared Milky Way - 360 degree panorama, hubble, RideAlong! US Navy F/A-18C Hornet East Demo Team (Helmet Cam) - Thunder Over Michigan 2010, space photography, Tim and Eric - The Universe + Extanded Scenes (Complete), Zooming in on the Carina Nebula around the Wolf--Rayet star WR 22. Bookmark the permalink.